President of EGYPT from 1956 to 1970, Gamal Abdel Nasser was a leading figure in the Arab world. The son of a postal clerk, Nasser attended primary school in a small village in the Nile Delta. He moved to his uncle’s home in Cairo, where he received his secondary education and then attended law school briefly. In 1936 Nasser entered the Royal Military Academy. Nasser rose quickly in the military and fought in a war against Israel in the late 1940s. With several other officers, he formed a secret revolutionary group known as the Free Officers. In 1952 he led the Free Officers in a coup that overthrew Egypt’s ruler, King Farouk. Egypt became a republic the following year, and Nasser was named its premier in 1954. 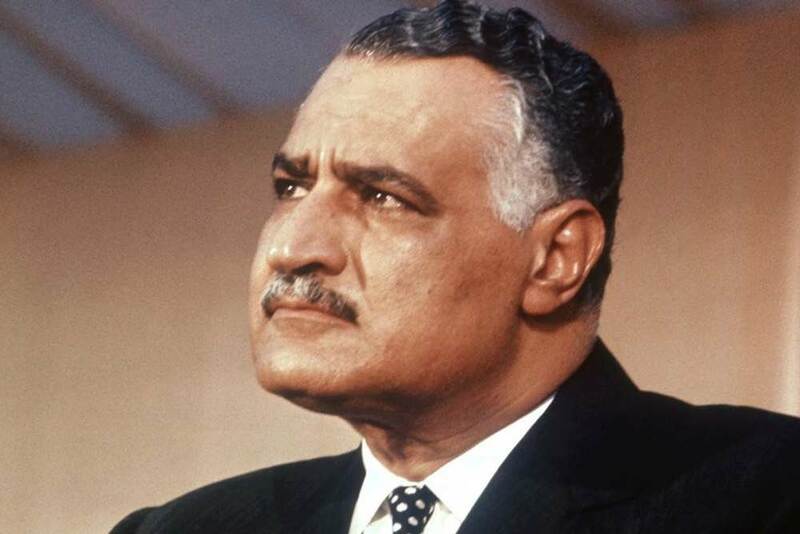 Middle- and upper-class Egyptians opposed the military coup and Nasser’s rule, and one Arab group, the Muslim Brotherhood, attempted to assassinate him. However, Nasser had the protection of the military and police, and his policies earned the support of Egypt’s many peasants. In 1956 Nasser became president of Egypt. Soon after taking office, he nationalized the Suez Canal, which was controlled by Britain and France. Britain, France, and Israel responded by invading Egypt. Although the Egyptians resisted fiercely, their forces were defeated. Nasser triumphed politically, however, when the United States and the Soviet Union pressured the invaders into retreating. Encouraged by his success in gaining control of the canal, Nasser moved to make Egypt the leader of the Arab world. In 1958 Egypt and Syria united to form the United Arab Republic, which was later joined by Yemen. Meanwhile, Nasser attempted to revolutionize life within Egypt. He introduced socialism, worked to increase the nation’s industrial strength, and made improvements in health and education. He also brought about land reform and tried—with little success—to improve agriculture. Nasser hoped that the entire Arab world might someday unite, but his United Arab Republic lasted only until 1964. The failed union reduced respect for Nasser in the Arab world. Moreover, Nasser’s foreign policies had led to conflict with Saudi Arabia and worsened relations with the United States. Partly in response to these setbacks, Nasser adopted a more aggressive policy toward Israel. In 1967 he moved to close the Suez Canal to Israeli ships. Israel declared war and quickly defeated Egypt. Nasser offered to resign, but Egyptians rallied in the streets, demanding that he remain in office.